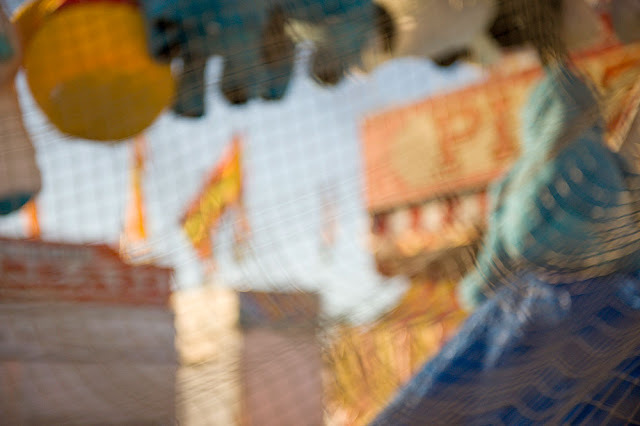 I went early last Saturday morning to the Franklin County Fairgrounds in Greenfield, MA to photograph before the agricultural fair opened for business. 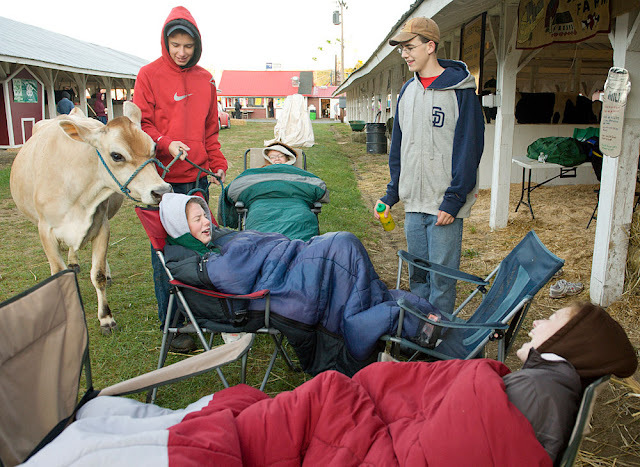 These 4-H teenagers slept on cots in stalls near their cows and then woke up at 5:00 am to clean their animals for the day's competition. Here they are hanging out, trying to keep warm, sending an occasional text. 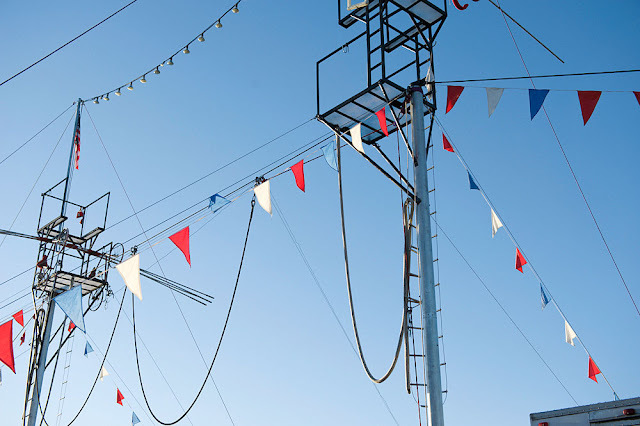 The agricultural component is overshadowed by attractions like trapeze artists, pun-cracking clowns, fair food and scream inducing rides. "A man walked into a bar. Boy, did it hurt." Gorgeous light bathed the slowly awakening fairgrounds.